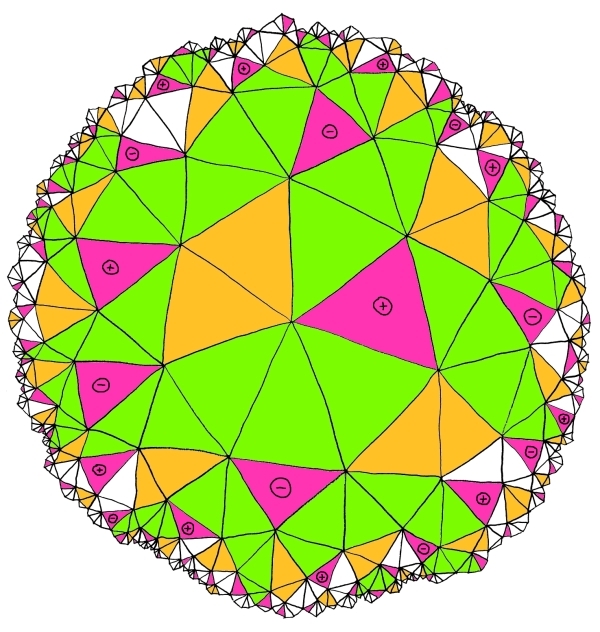 ↑ Template:Harv Note each face in the polyhedron consist of multiple faces in the tiling – two triangular faces constitute a square face and so forth, as per this explanatory image. "Chapter 10: Regular honeycombs in hyperbolic space". The Beauty of Geometry: Twelve Essays. Dover Publications. 1999. ISBN 0-486-40919-8. LCCN 99035678.